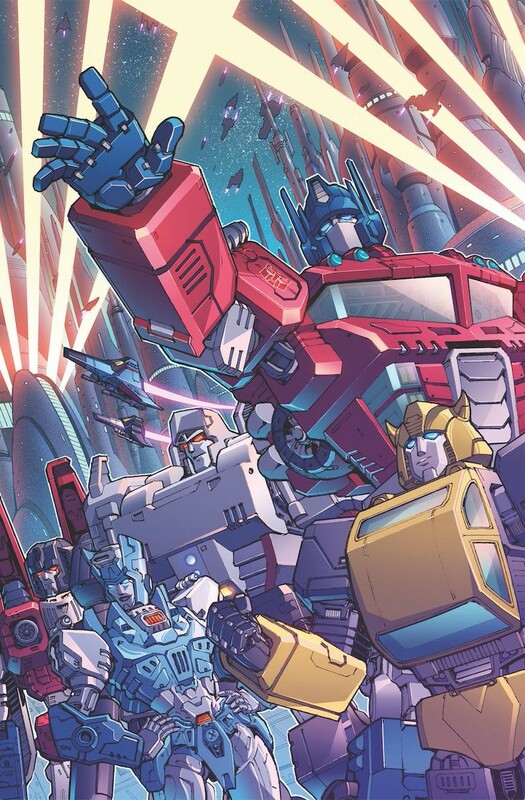 With a new Transformers comics universe a few weeks away from launching, the comics solicitations calendar rolls on ahead with two new solicitations for May 2019 from IDW Publishing. The information below comes from Diamond Comics Distributors' Previewsworld site as always. The bi-monthly schedule looks to continue here as well, with May scheduled to see release of issue 5 written by Brian Ruckley with art by Angel Hernandez and Cachet Whitman, and issue 6 also written by Ruckley with art by Bethany McGuire-Smith. Check out the descriptions and sample covers provided, with the issue 5 cover by Andrew Griffith with colors by Thomas Deer that was shared by IDW's Tom Waltz on Twitter. The issue 6 cover shown is by the book's interior artist McGuire-Smith. A brand new era of Transformers! 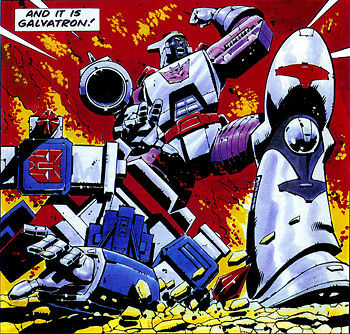 The investigation into the mystery of Cybertron's first murder continues! Windblade closes in on answers, Rubble finds a job that suits him, and Bumblebee... well, Bumblebee has a secret that could lead to chaos. A cosmic epic of grand scale, presented by Star Trek/Green Lantern and Injustice 2 artist Angel Hernandez! Plus awesome action by G.I. Joe: A Real American Hero and Revolutionaries artist Ron Joseph! All your favorite Transformers characters as you've never seen them before! Optimus takes the spotlight! 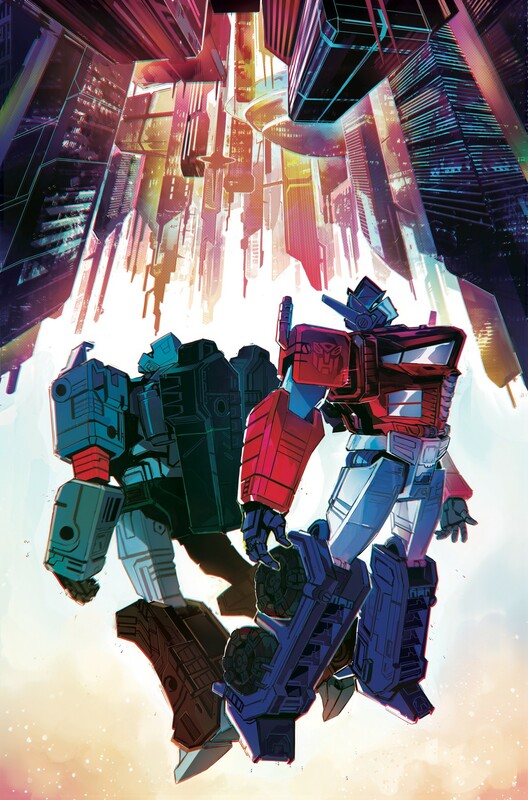 Even a bot as wise as a leader of the Autobots needs guidance now and again, so Optimus turns to Codexa-a Cybertronian who has grown into the very planet itself. Will she help Optimus settle his problems with Megatron or will she lead them both to ruin? Transformers-now shipping twice monthly! Well, here is what may seem like a stupid question- How do I subscribe to get these? Electronic or otherwise? Nexus Knight wrote: Well, here is what may seem like a stupid question- How do I subscribe to get these? Electronic or otherwise? All your favorite Transformers characters as you've never seen them before! Optimus takes the spotlight! My nearest comic shop is way to far away, as I live in Small Town, USA, that has nothing interesting to note about it. I'd rather the digital print, anyways, which I've decided I can afford. Thank you!! 4,598 pages were recently viewed by 711 unique visitors. This page was viewed 1 times on Thursday, April 25th 2019 3:04pm CDT. © 2019 Seibertron, Inc. DBA Seibertron.com. All Rights Reserved. Established June 2000. Seibertron.com is owned by Ryan Yzquierdo.